Add the perfect finishing touch to your luxe invitation suite. We will print your guest addresses on your envelopes in color. This is for a deposit only. 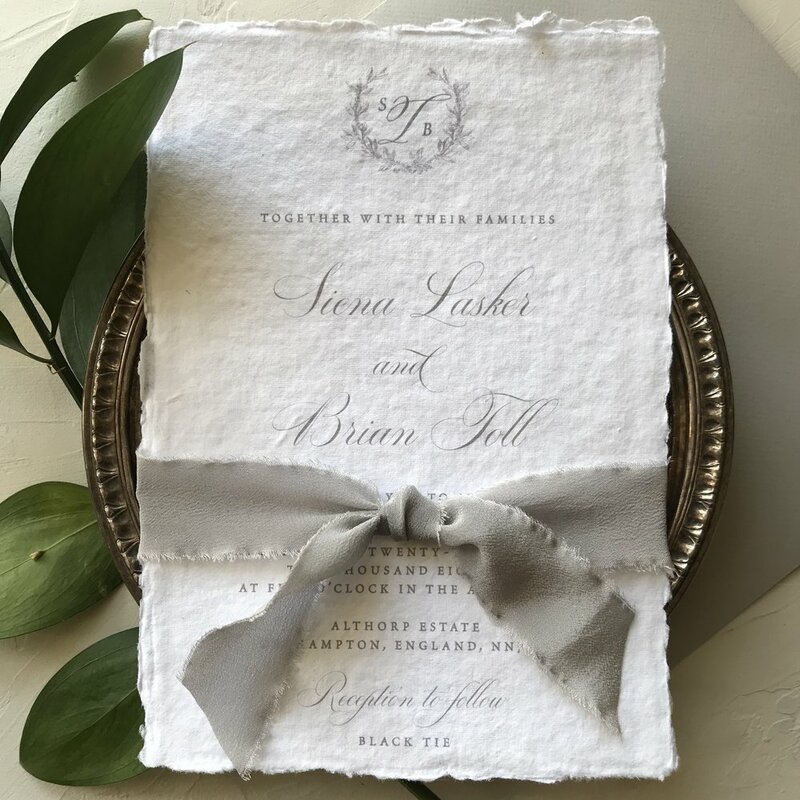 Let us choose the perfect compliment to your invitation suite with luxe silk ribbon. Upgrade your suite to thick torn edge paper to give it an organic and vintage aesthetic. Upgrade your reply envelopes to white ink printing. Use only on dark envelopes. Add simple yet beautiful twine to your suite. Perfect with a wax seal or on its own. Choose from an array of options to add a little surprise for when your guests open their invitation. Our luxe wax seals are the perfect finishing touch for your suite. Available in 6 colors.